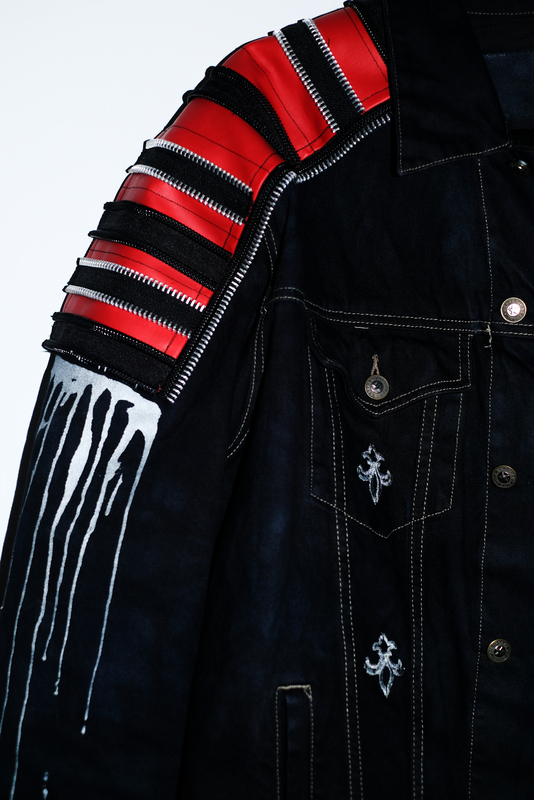 Peace Of War denim jacket. 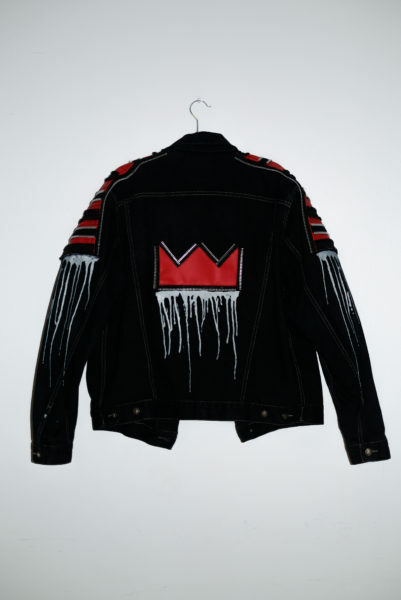 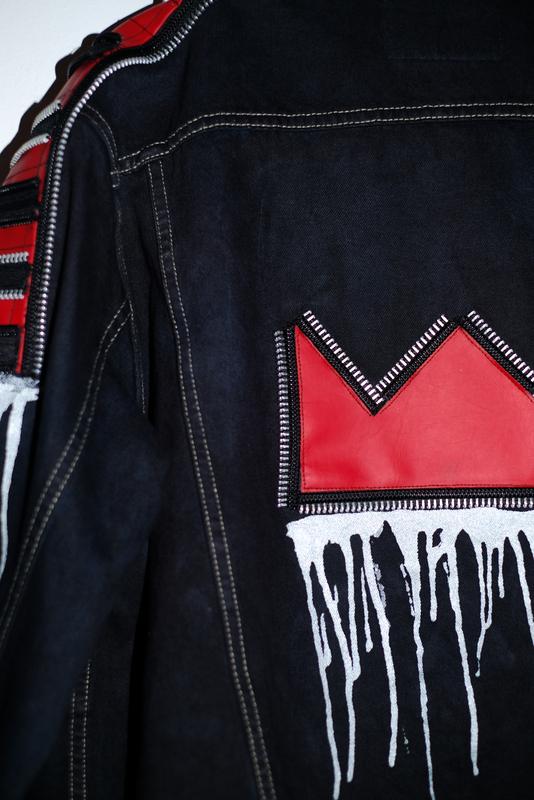 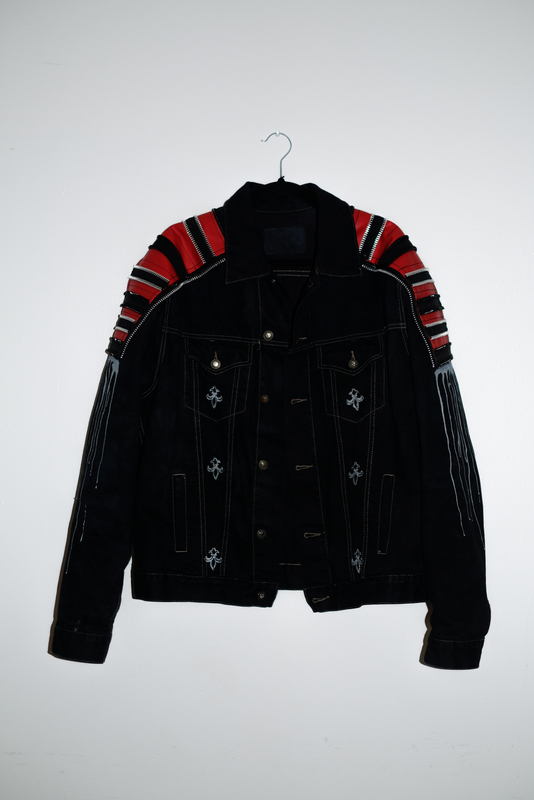 Featuring embellished black + silver zipper moto shoulder sleeve panels + matching crown patch on backside. Dyed black and also featuring Fleur de lis patches, silver drip detail down arms and under crown motif.